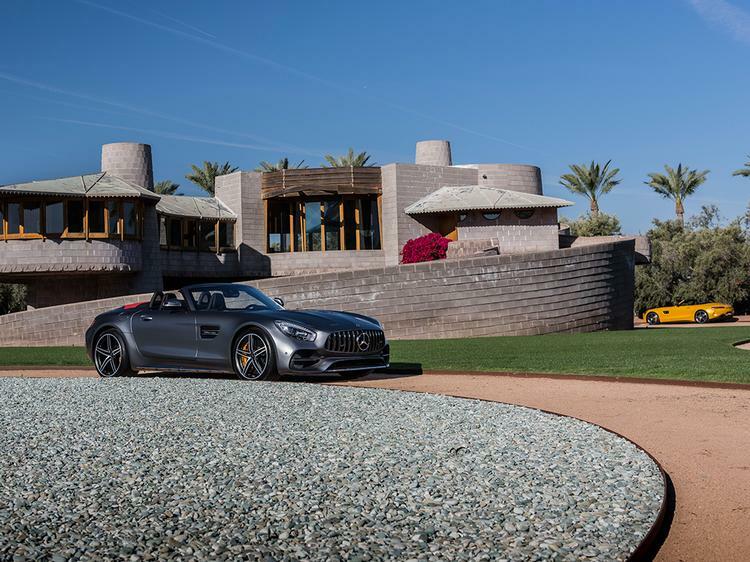 The day starts well in the 'entry level' AMG GT Roadster. 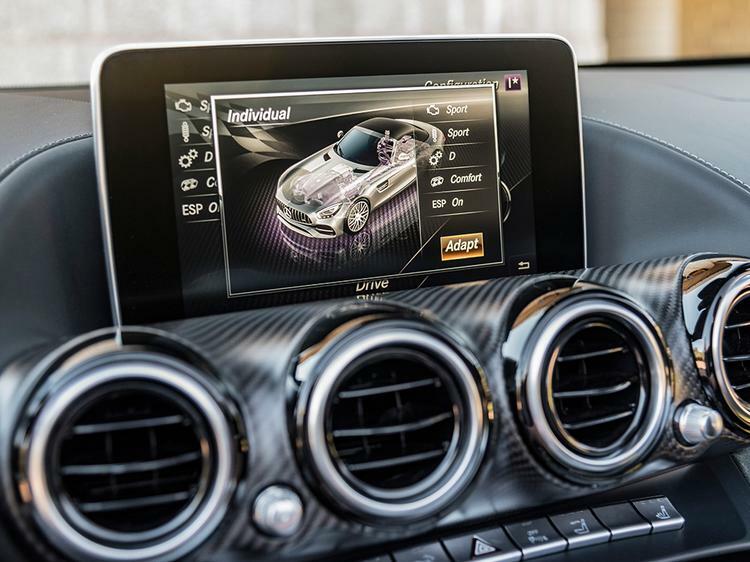 Yes, the £110,145 one with a mere 476hp. 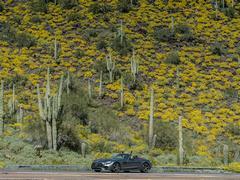 As the long, straight desert road suddenly spirals up into the hills I'm already thinking just what more the GT C I'm yet to drive could bring to the experience. 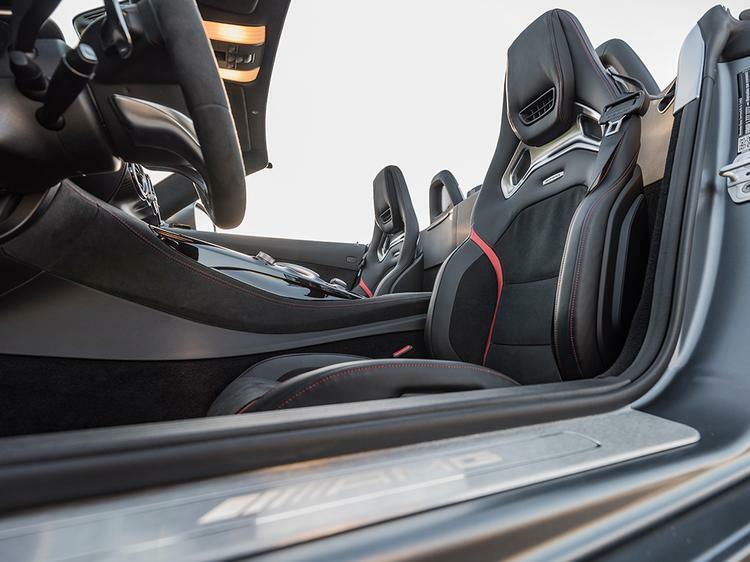 OK, the simple answer is 557hp and a more muscular, widebody stance to accommodate bigger rear tyres and hardware for the rear-wheel steering from the GT R.
But the base GT isn't exactly wanting for firepower, or soundtrack. 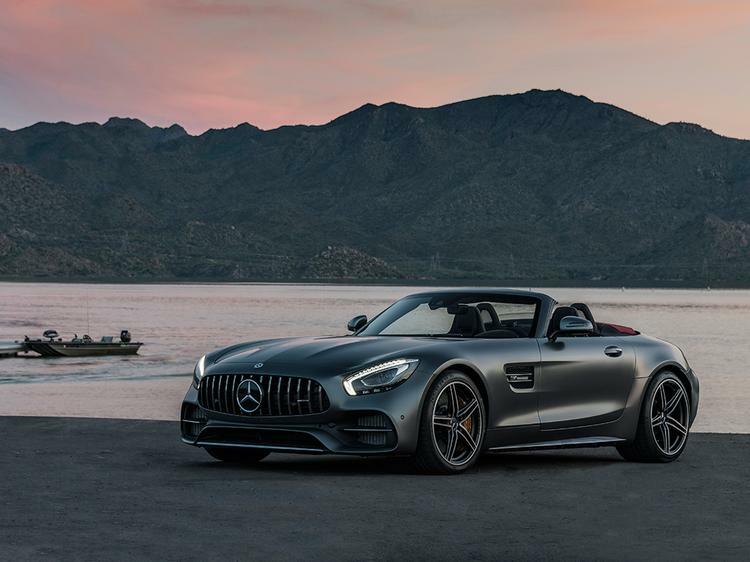 Echoing off the rocks and into the open cabin the V8 proves turbocharged engines needn't sound flat or boring, AMG recognising the importance of proper exhaust sound (the two-flap Performance Exhaust is standard across the GT range in the UK) to making the experience feel fast. And it IS fast. OK, against 1,670kg and a steep uphill gradient 476hp and 464lb ft perhaps doesn't feel as utterly rampant as it might. 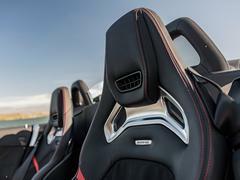 But once through the slight initial elasticity in the throttle pedal the engine pulls strongly and makes a terrific racket doing it. This is the best steering I've experienced thus far on a GT too. 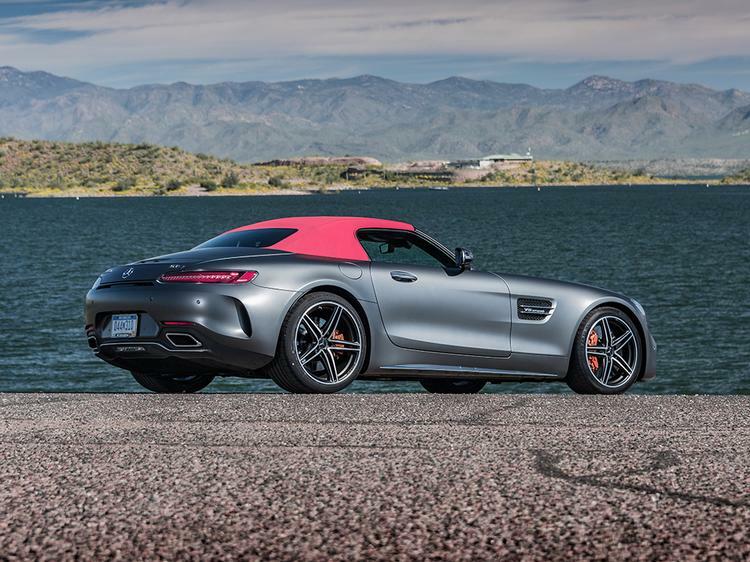 OK, it doesn't have the meaningful weight of the SLS from where much of the hardware comes, including the front suspension. And the variable rack is still a bit light in its initial movement. But it's still hydraulically assisted and, as the loads increase and you have a bit of lock on, there's actually a whisper of - yes! - feedback about grip levels. This builds trust in the front axle, which turns in assertively and holds its line tenaciously. 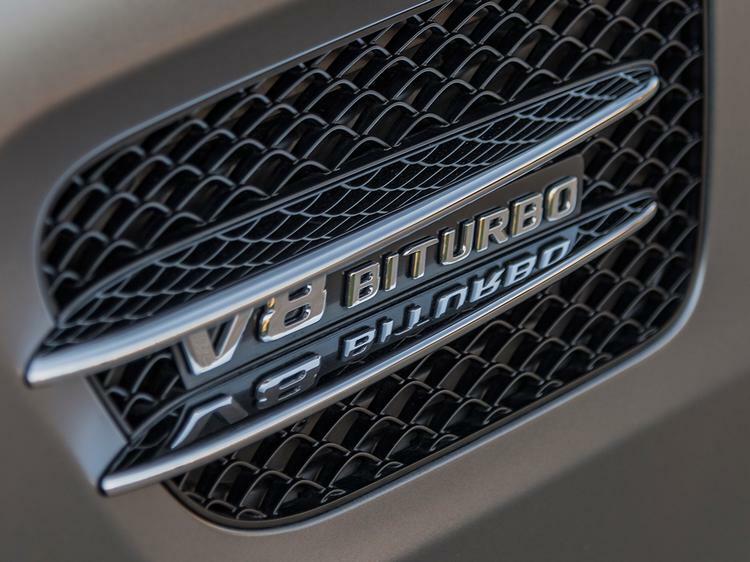 There's plenty of weight in the car but thanks to the rear-mounted transaxle gearbox it's well contained within the axles and the natural balance is massively confidence inspiring. And so I find myself getting on the power earlier and earlier in the corner, happy it's not going to push on. 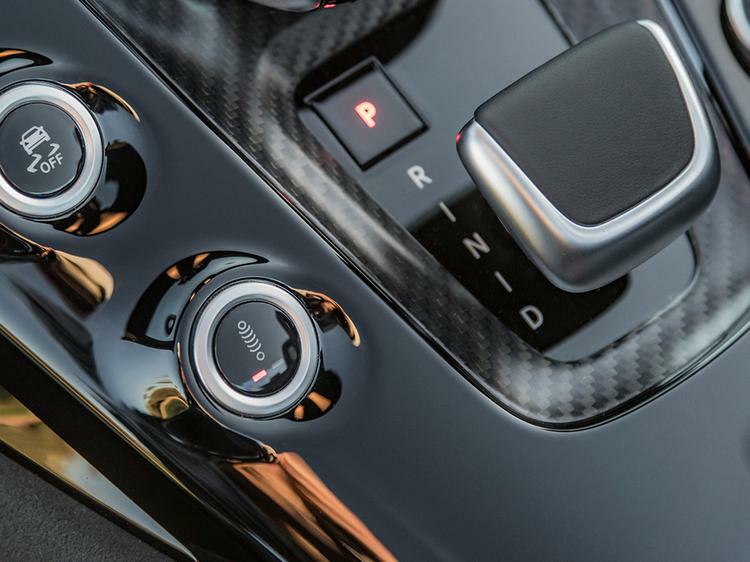 I've set the Individual mode to include Sport ESP, which permits enough slip to feel the mechanical diff start locking up and playing its part in pushing the car into the turn. Rare for a turbo engine the pedal response is sharp enough to let you modulate this as required, holding it on the cusp of oversteer before opening the throttle as the steering releases and enjoying phenomenal traction out of the turns. And this on a road glistening with fresh snow melt. OK, it doesn't track the turns quite as tightly as the equivalently priced 911 Turbo Cabriolet might in similar conditions. But the grip, balance and traction mean it doesn't need all-wheel drive like the F-Type SVR. With all the driver modes and configurability this is not a simple car. 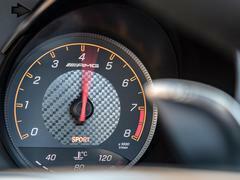 But in nailing the fundamentals like weight distribution, damping and steering response the GT has a pleasingly old-fashioned way of going fast, with just enough feedback to make you feel involved. 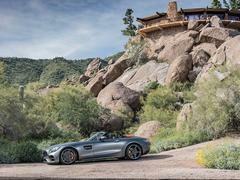 This is a much more mature AMG experience than you got in the occasionally uncouth SLS. But technical progress hasn't come at the expense of charisma or fun. 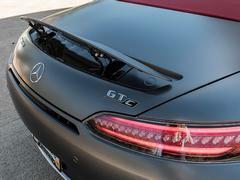 Which is why I keep asking myself, just how much more can the GT C offer? Well you certainly get plenty of toys for your additional £29,300. That engorged bodywork contains both the rear-wheel steering mechanism and 20-inch rear wheels over the 19s all round of the GT, now 305-section over the 295s of the less powerful car and with an extra 44mm of track. 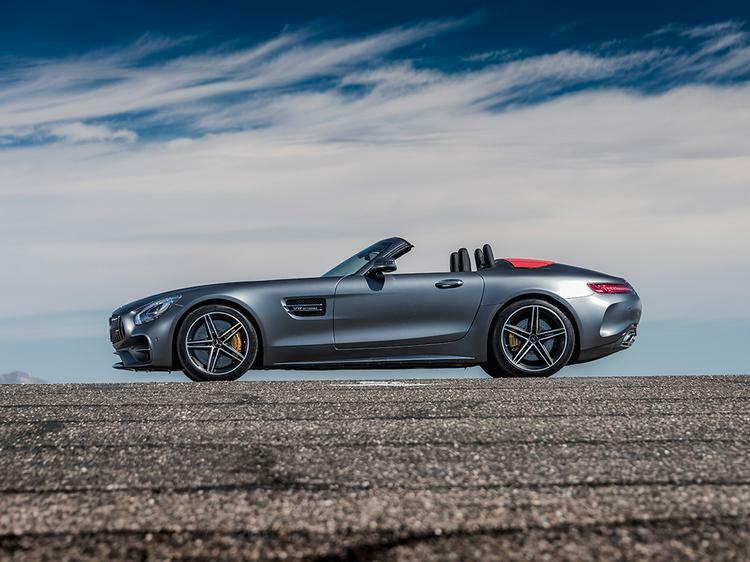 Power to them is distributed by a fully active locking differential as per the GT S coupe, the standard Ride Control adaptive dampers further stiffened and running more aggressive spring rates on 'my' car as part of the £1,795 Dynamic Plus package. This also adds dynamic mounts for the engine and gearbox, the test car also getting the £5,995 ceramic brakes. An additional Race mode on the AMG Drive Unit and revised gearing with a lower final drive are also among the changes. By the time you're done that price difference is looking closer to £50K - a premium that's going to take some justification given how impressive the GT is out of the box. Accordingly it's a much more complicated car to get to grips with, at least initially. Those brakes feel grabby where the steel ones on the GT bite firmly but progressively. And the steering feels lighter throughout its movement, not loading up like the GT. That'll likely be a by-product of the rear-axle steering but the way the GT C turns in and tracks through a corner is slightly less conventional and instinctive than the more straightforward GT. The chassis is a lot fiercer too. You pay an extra £1,495 for the three-stage Ride Control dampers on the base car but they're usable in all modes and offer a decent spread from comfort to composure. 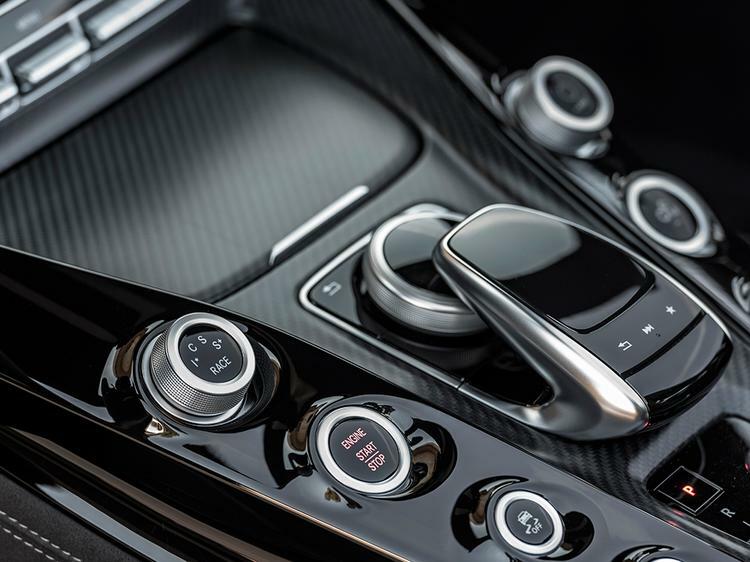 Even in the Sport Plus mode the body remains commendably wobble free, with only the very occasional and slight tremble through the steering column over really rough surfaces. The GT C is different, chuntering at low speed like the coupe (or, at least, the passively damped GT I last drove) and feeling a lot more brittle. 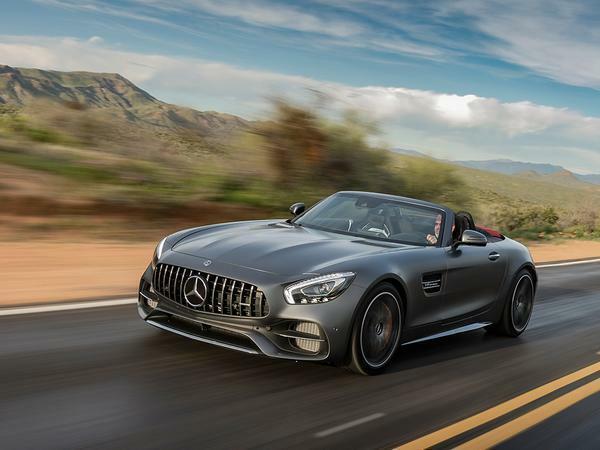 The different rear axle, wider rear tyres, bigger rear wheels and stiffer Dynamic Plus suspension will all play a part but those dynamic engine mounts will also contribute to the increased NVH, at least with the AMG Drive Select in its more aggressive modes. Over poor surfaces it's enough to have bits of trim rattling and with the roof up the increased tyre noise is intrusive enough to be annoying - put it this way, the 'C' in GT C definitely doesn't stand for comfort, at least in this full bells and whistles spec. By golly it does feel a lot, lot faster though. You benefit from the increased scope of that active diff too. 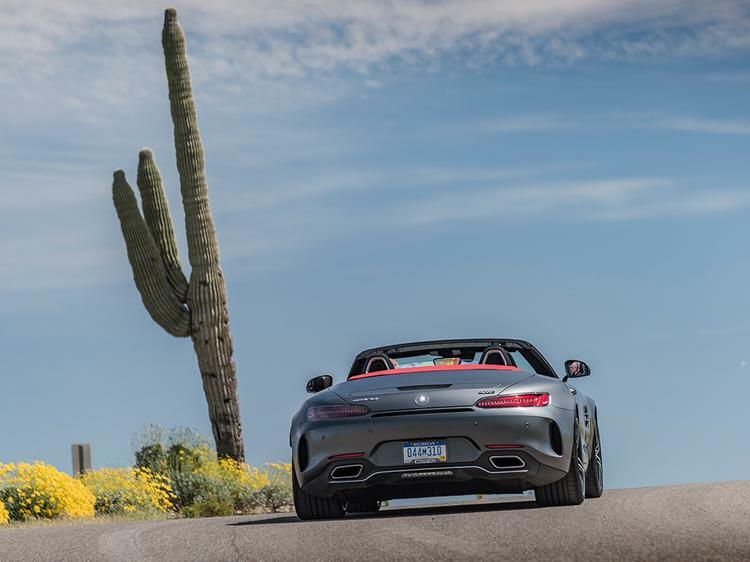 As experienced in other AMGs this is less about the traditional sideways thrills and more about traction and corner exit speed. 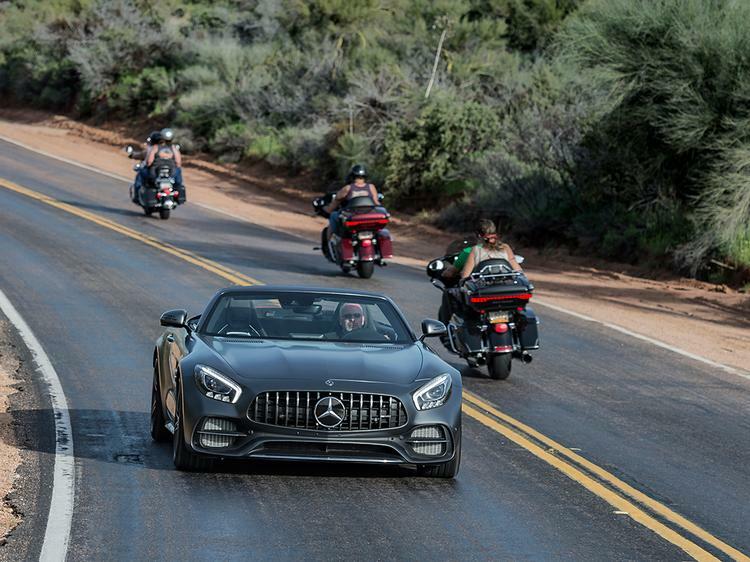 Indeed, you can feel the torque bleeding across the rear axle as it's sent to where it can be most effectively deployed, meaning less tendency to oversteer and more traction. 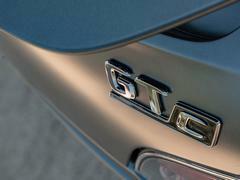 The GT C is, as you'd hope, a much, much more serious car. Is it a better AMG GT though? After a full day (and the rest) of driving I remain uncertain. Depending on the options you choose there is the scope there to build a very, very aggressive sports car out of one that in standard form more comfortably lives up to the GT badge. 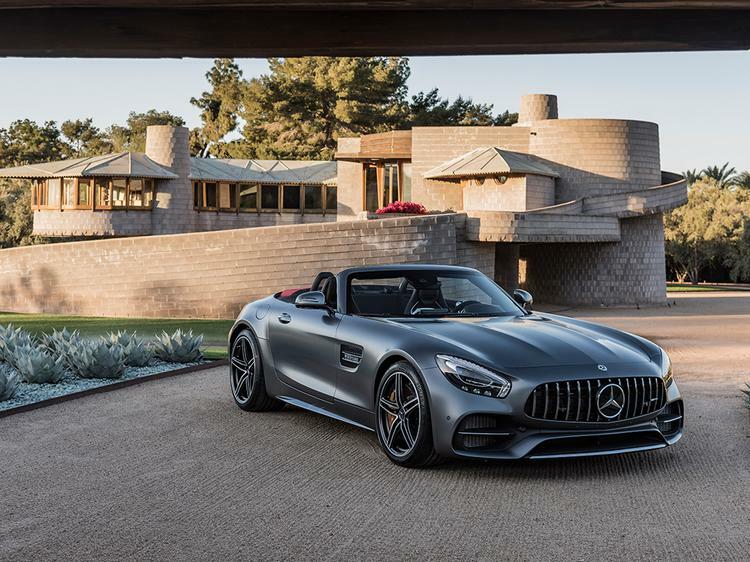 When it comes - not confirmed officially but seemingly inevitable - a GT S Roadster with the 522hp engine from the equivalent Coupe version might well be the sweet spot. But let's be clear, there are no duffers - choose your priorities and budget accordingly. 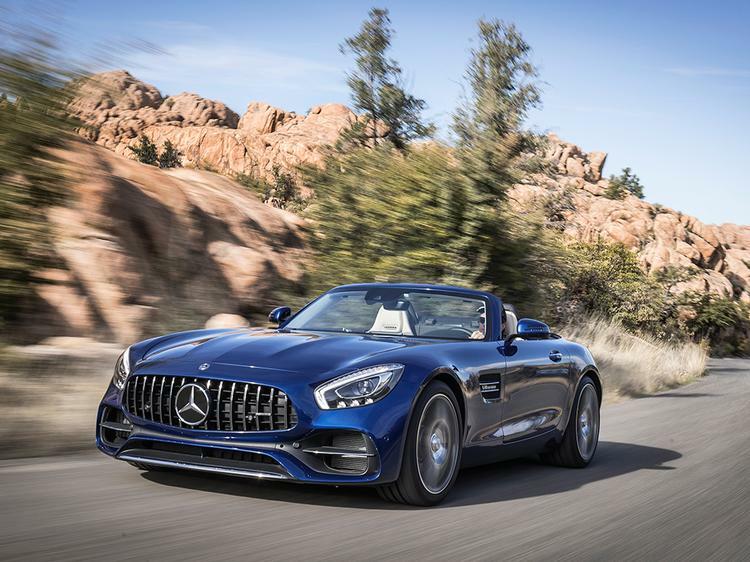 Perhaps more importantly, does a 476hp GT Roadster make sense from a manufacturer that'll also sell you a folding hardtop SL63 with a 5.5-litre twin-turbo V8, 585hp and a load more torque for just five grand more? On paper perhaps not. 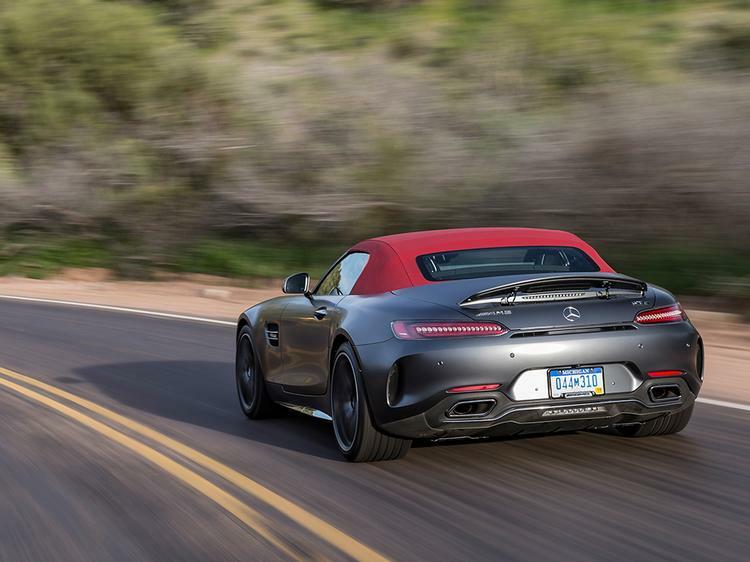 But fast SLs remain just that, even when they are VERY fast SLs. And with this expanded, refined and much-improved GT line-up Mercedes-AMG has a product that can go toe-to-toe dynamically with anything Porsche, Audi, Aston Martin or anyone else in the £100-150K bracket can offer. Not something the SL has ever been able to do. If you're detecting a level of enthusiasm in the response to driving both these GT Roadster variants you'd be bang on. This is arguably the moment the AMG GT starts making real sense and stakes a genuine claim on a fiercely contested sector. 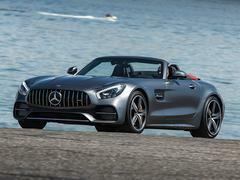 Mean and roofless plays well for AMG it'd seem. 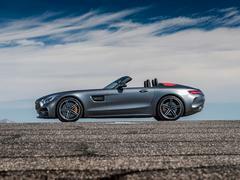 I'm a big fan of the AMG GT, they look FAB on the road, really low, REALLY mean and they sound immense. 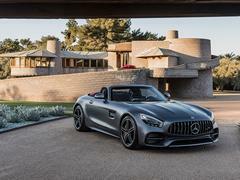 As a coupe or roadster they take a massive dump on the Mercedes 'equivalents' - the current SL is massively meh and must be losing sales to this thing? Where's the EV version? The SLS had one. 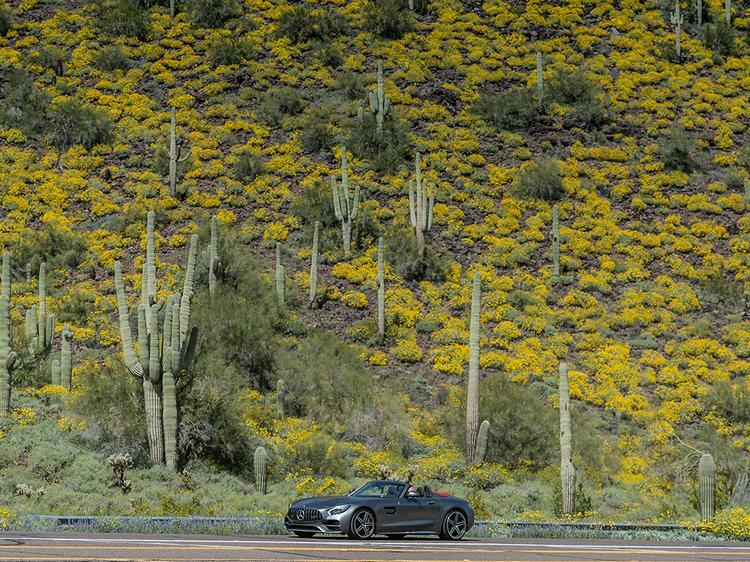 Not everyone wants a mean, loud car. Interestingly the space to enter the car on a GT is noticeably smaller than on a SL - shorter doors and a lower roofline are the culprits. I've owned an SL, a friend of mine currently has a GTS and I absolutely can see why it makes sense for Mercedes to have both models. 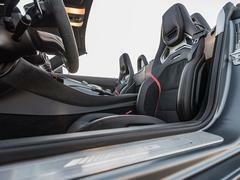 The traditionally older demographic that the SL appeals to would find the GT's interior a little cramped/claustrophobic and uncomfortable and many will also prefer the more laid back (some might say refined and effortless) power delivery of say an SL500 over the more raucous and obviously sporting GT too.